On a pair of recent releases, Norwegian guitarist Hedvig Mollestad Thomassen continues to evolve into a thrilling modern guitarist informed equally by jazz and hard rock. Norwegian guitarist Hedvig Mollestad Thomassen has made a name for herself over the past decade in both contemporary jazz and hard rock circles with her fiery playing, both solo and with her trio. A self-taught guitarist, Mollestad maintains that her education came from sitting and listening to her father’s voluminous record collection, sussing out for herself what some of the biggest names on the instrument laid to tape well before she was born. One listen to either of her two recently released trio recordings (one a studio album and one a live album) and it becomes easy to picture a young Mollestad locked in her room, mastering riff-heavy tracks from Zeppelin, Deep Purple, and Hendrix. It's a brilliant showcase for her retro-futurist take on the instrument, at once progressive and firmly rooted in the past. Of the two, Black Stabat Mater represents a more focused, well-oiled version of the trio as they tear through four Mollestad originals. Opening track “Approaching/On Arrival” is pure heavy metal gold, riffs flying left and right as the trio navigates a seemingly endless number of sections and melodic motifs. It’s enough to win over the most skeptical of aging head-bangers as Mollestad’s classic hard rock riffage tears through the speakers. Here she’s alternately Randy Rhoads, John Scofield, Edgar Winter, Jimmy Page, and Jeff Beck, never sticking to one influence long enough to become derivative. Midway through the track’s 14-plus-minute runtime, Mollestad abandons her fiery fretwork in favor of deep, cavernous feedback swells and unhinged amplifier worship that would cause the members of Boris to take pause. It’s a stunning display of sound and fury, one that takes the performers to their literal extremes as it races back and forth before exploding into a full-on cacophonous symphony of feedback. With drummer Ivar Joe Bjørnstad leading the frenetic charge as he flails about the whole of his kit, the track devolves into organized chaos, both Mollestad and bassist Ellen Brekken following Bjørnstad in a race to the finish line. Not wasting a minute, the trio dive headlong into the ping-ponging riff that makes up the appropriately-metal-titled “In the Court of the Trolls”. It’s a heavy continuation of what came before, with Mollestad again pulling out all the stops as she uses her guitar to tear massive holes through the walls of sound erected by her rhythm section. Having proven herself capable of fiery fretwork, she cedes the majority of the technical movement to her rhythm section. This frees her up to take a number of liberties with both rhythm and melody, often taking the time to explore the full potential of a note/sound before allowing it to dissolve into a flurry of guitar pyrotechnics. “-40” is a gorgeous, almost Metheny-esque guitar ballad that finds her playing a series of melodic chords that toe the line between traditional beauty and atonality, passing notes serving to heighten the push-pull tension. With minimalist atmospheric backing, it's a haunting reprieve from the fiery bluster of the preceding tracks. Black Stabat Mater, the studio set, proves to be the slightly superior of the two recordings, the trio tearing through the album’s four songs with an intensely exciting ferocity. This isn’t to short change the trio’s live recording, however. Evil in Oslo finds four sprawling tracks of experimental improvisation and noise. It’s a less structurally focused, more exploratory session that, given its 70-minute runtime, lacks the immediacy and power of the studio recordings. 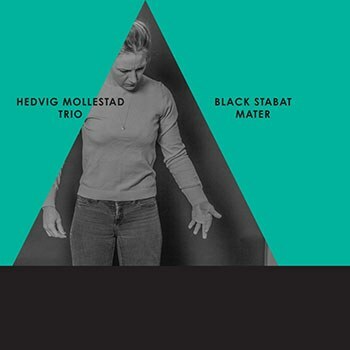 Consider Black Stabat Mater a prime introduction to the Hedvig Mollestad Trio and Evil in Oslo the next step in advanced studies of the group’s 21st century hard rock/jazz fusion. Those willing to take the next step will find a great deal to enjoy on Evil in Oslo as it runs the stylistic gamut of Mollestad’s six-string arsenal. From searing hard rock soloing to more nuanced jazz phrasing, the band in a live context shows an impressive range with each instrumentalist playing a vital role on each track. “Code of Hammurabi/The Valley” begins with a furious unison line that builds to a fierce conclusion before ceding itself to the sparse jazz balladry of “The Valley”. Here Mollestad shows herself to be a studied and solid jazz soloist and improviser, bringing her precise technique to the jazz idiom without losing any of the simmering intensity of her more rock-oriented material. Evil in Oslo can be a bit much to take in a single setting. 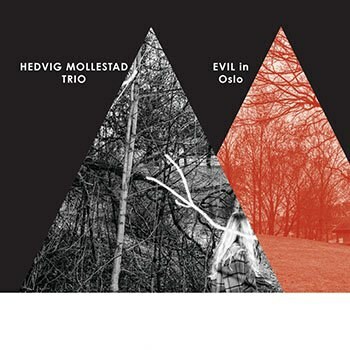 That said, those willing to take the time will find themselves in awe of the Hedvig Mollestad Trio, a group that has grown a great deal in a short time. Fans of instrumental guitar music—both jazz and rock—will want to take notice of Mollestad if they haven’t done so already.